Aspers at the Gate is situated on Newgate Street in Newcastle and covers 45,000 square feet of gaming over three floors with casino games that include American Roulette, Blackjack, Three card poker, Punto Banco and Wheel of Fortune. The casino regularly introduces new games to keep their customers entertained. Fans of slot machines have variety of games to choose from many of which offer £4,000 jackpots. Aspers has recently doubled the size of its poker room and offers exciting cash games and weekly tournaments with Texas Hold'em and Omaha Poker games. Aspers is offers more than just gaming - it is a great place to socialise and enjoy a leisurely drink or a meal with friends or even just check out the latest sporting events on large plasma screens. With live entertainment and game shows throughout the week, the fun never stops at Aspers. The casino is open to everyone over the age of 18 though valid photo identification will be required for those who look under 21. The dress code is relaxed casual. Freya's Restaurant offers an a la carte menu from 12pm to 11.30pm, a full English breakfast from 11.30pm until 3am and a delicious Sunday lunch buffet from noon to 6pm. With a casual and friendly atmosphere, Freya's is a great place to celebrate special occasions like birthdays, anniversaries and parties. Tanzibar is one of the two bars at Aspers and is set across the gaming floor. Check out the gaming action as you sip a cold beer, a glass of wine or even one of the delicious cocktails available. The second bar, Lady O's features live acts and cabaret and has giant plasma screens so you can catch the latest gaming action. Your special occasions are best celebrated at Aspers - the casino is equipped to deal with parties with groups as large as 150 and offers a complete package of entertainment, excellent food, and a wide range of facilities be it a live vocalist, a DJ or a disco. 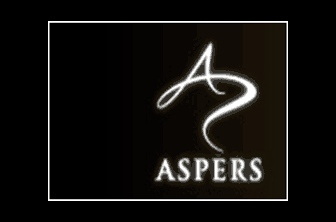 Whatever your requirement, you can be sure it will be fulfilled at Aspers.